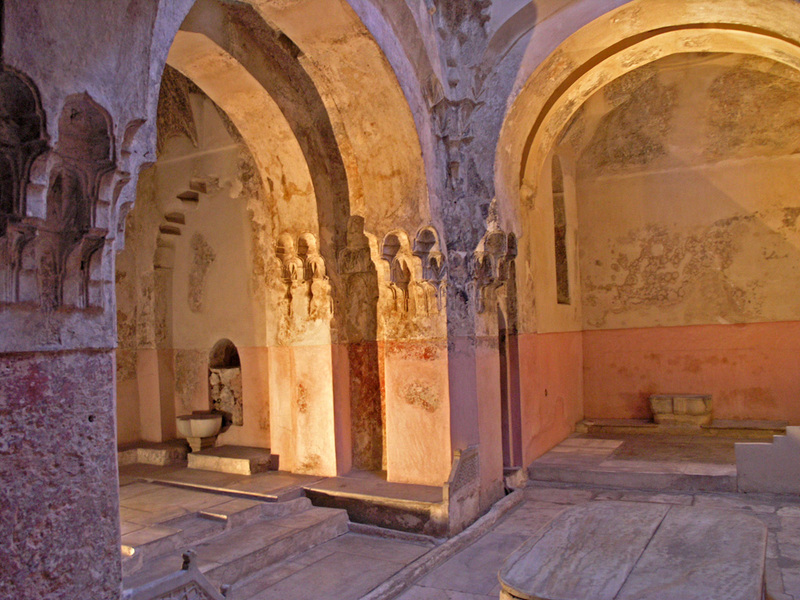 The Çemberlitaş Hamam, has been standing on the Divanyolu on the historical peninsula since 1584. 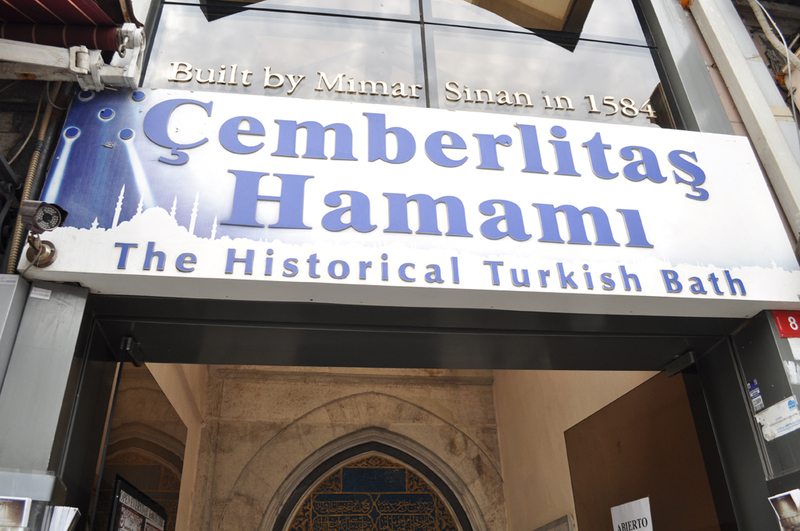 The Çemberlitaş Hamam, on Divan Street (Turkish: Divanyolu), the main street on the historical peninsula, since 1584. It is one of the works of the Imperial Architect Sinan and known for the quality of both its interior and exterior architecture. 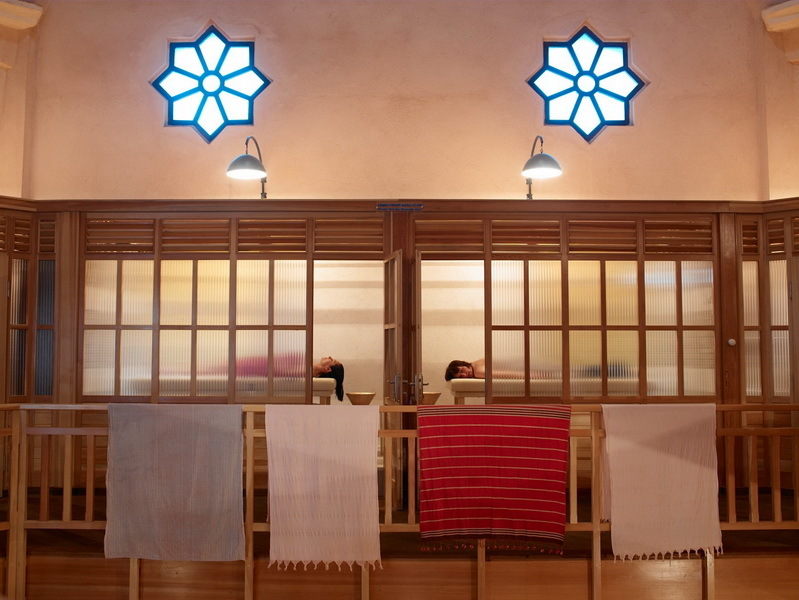 It is one of the most magnificent hamams in the city. 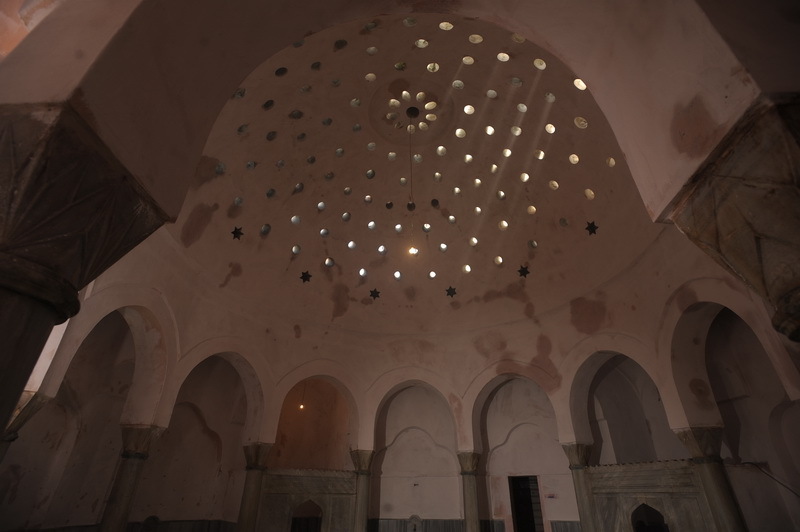 The Çemberlitaş Hamam was requested by Nurbanu Sultan, the mother of Selim II and Murat II, and designed in two sections for the use of both men and women. 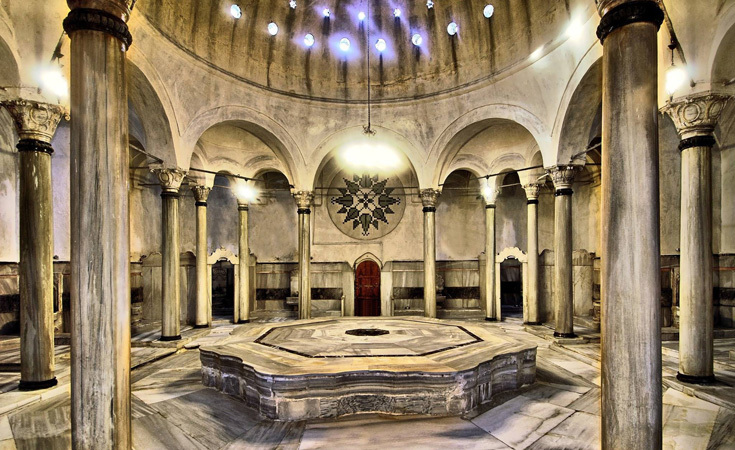 Large heated marble slabs and glass domes are in both sections of the hamam. The historical Çemberlitaş Hamam offers traditional hamam services such as scrubs, foam massages and bridal treatments as well as different massage treatments like aromatherapy and reflexology. For more information asnd reservation please click here. Taksim: Take the funicular railway line inside the Taksim Metro station for Kabataş. This is a one-stop station. From Kabataş, take the T1 Zeytinburnu – Kabataş tramline for Çemberlitaş. Atatürk Airport: Take the metro line M1 Aksaray – Havaalanı and get off at the Aksaray stop. From there, take the T1 Zeytinburnu – Kabataş tramline and get off at the Çemberlitaş stop. 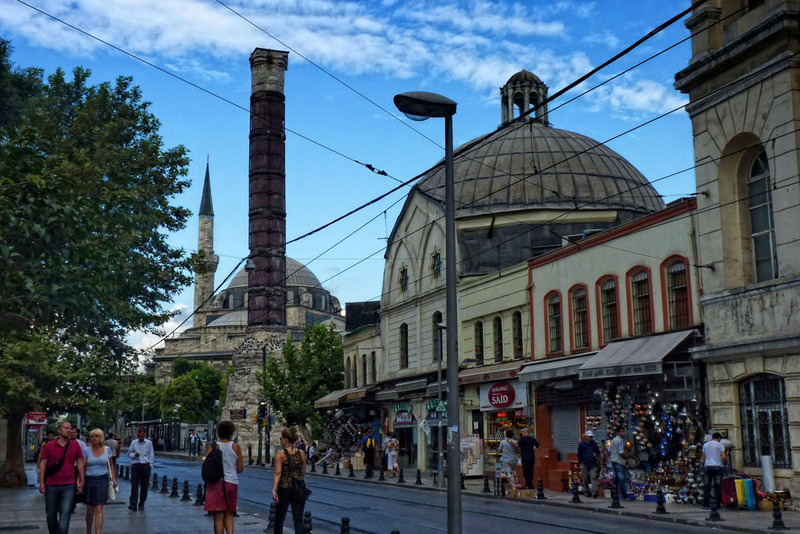 Blue Mosque Area: You can walk a bit toward Aksaray or take the T1 Zeytinburnu – Kabataş tramline to get off at the Çemberlitaş stop.